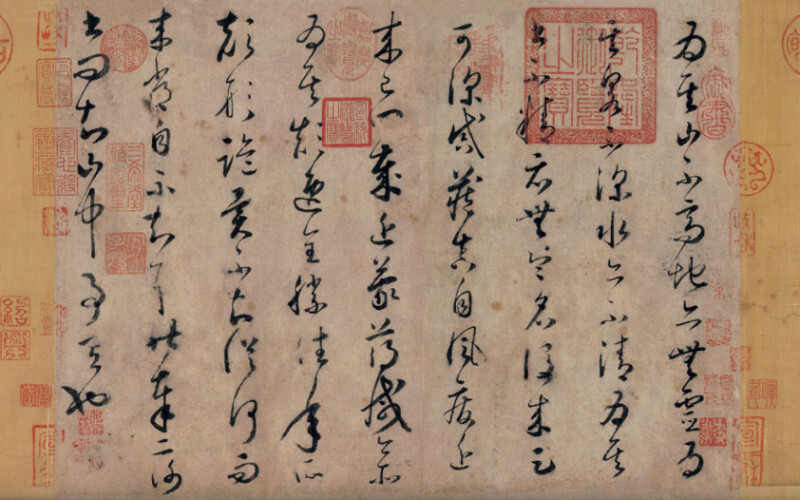 Huaisu (懷素, 737–799), courtesy name Zangzhen (藏真), was a Buddhist monk and calligrapher of the Tang dynasty (618-907), famous for his cursive calligraphy. Only a few pieces of his works have survived. He was born in modern Changsha, Hunan. Not much is known of his early life. His secular surname might be Qian (錢), and he might be a nephew of the poet Qian Qi (錢起). He became a monk in his childhood, apparently out of poverty. 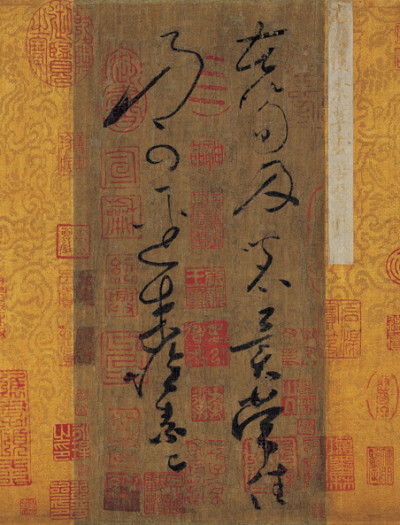 Legend has it that Huaisu planted banana trees (or any genus of trees under Musaceae) in the courtyard of the temple he lived, and used the leaves as paper to practice his art. He made his national fame in his early thirties when he came to Chang’an, which was then the capital of China. 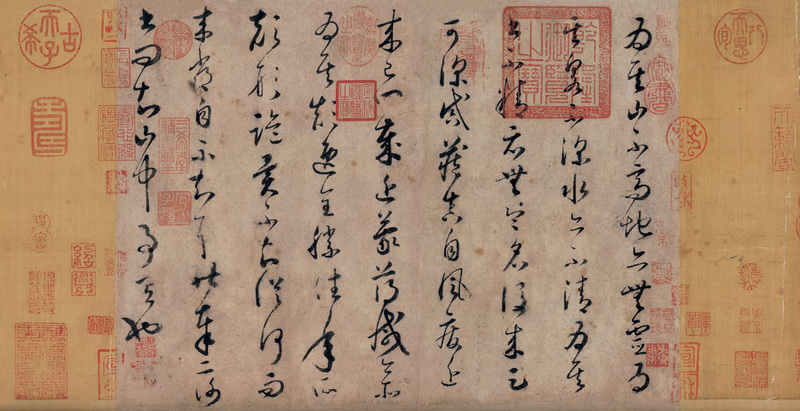 Famous poets of his time spoke highly of his works, including Li Bai. Like Li Bai, he was fond of alcohol. 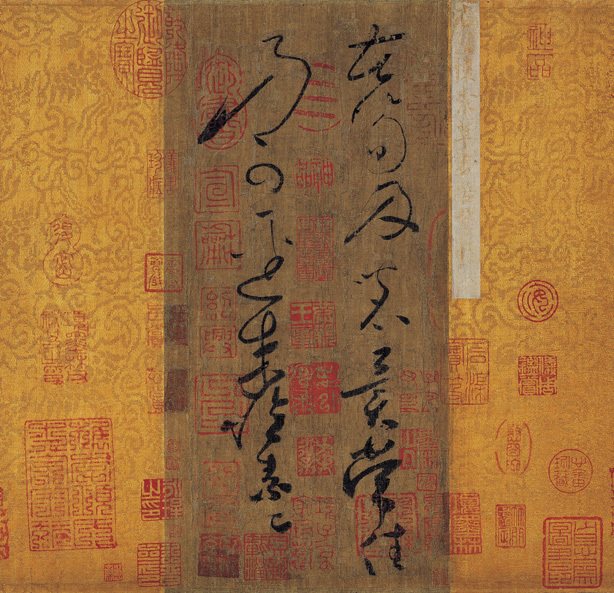 Traditionally Huaisu is paired with the older Zhang Xu (張旭) as the two greatest cursive calligraphers of the Tang dynasty. The duo is affectionately referred to as “the crazy Zhang and the drunk Su” (顛張醉素).